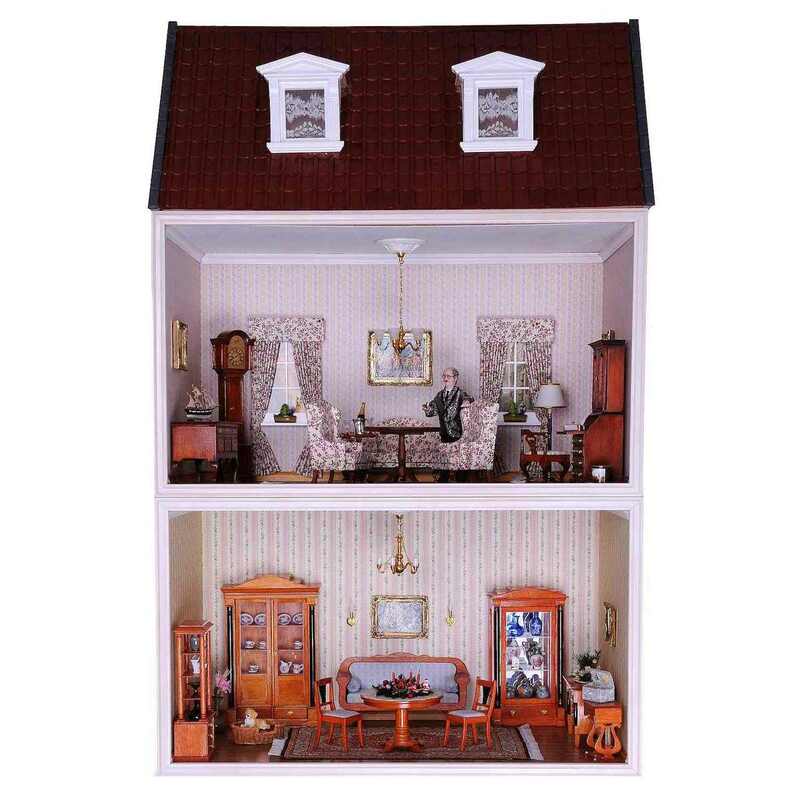 The pictured interiors, lamps, dolls, windows (50471), curtains (50960), doors (60070, 60071, 60311), the partition (90130) for the Attic floor and the roof shingles (70045 / 70050) are not included in the supply. 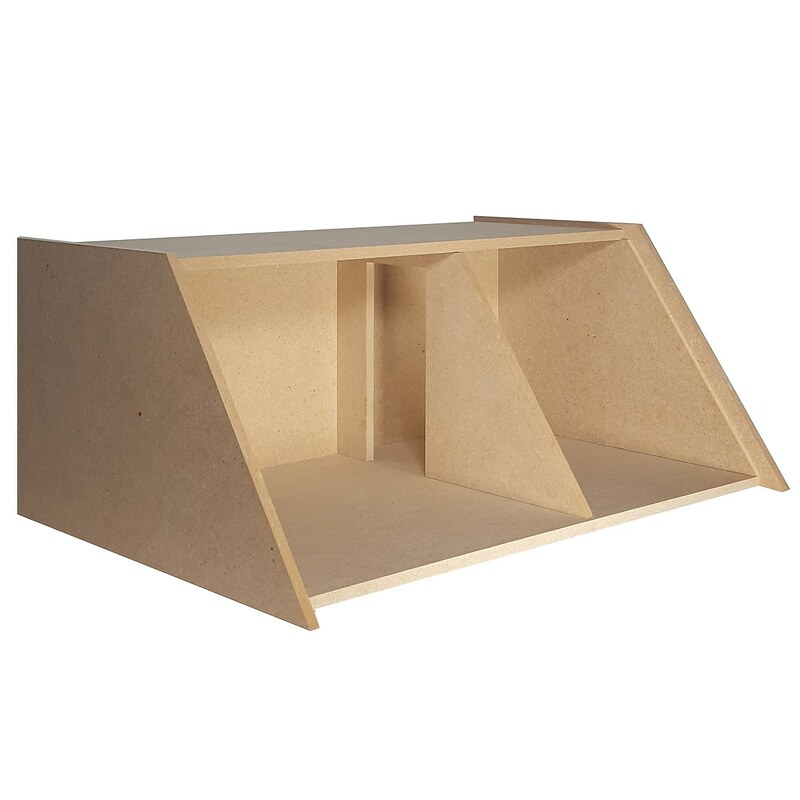 MDF construction kit for a MODULE BOX HOUSE with 2 roof dormers. 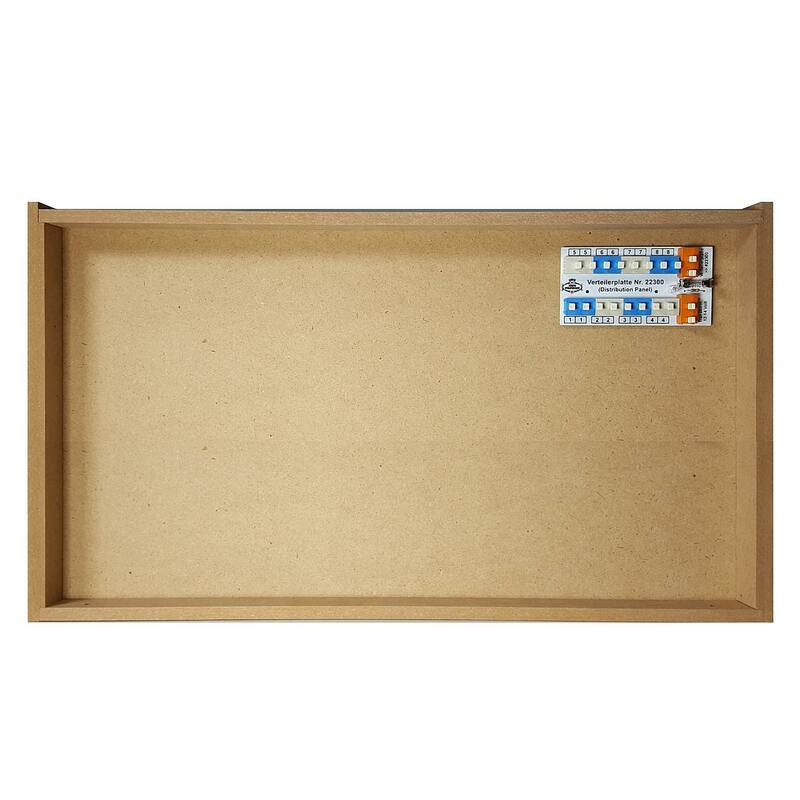 The module boxes can be easily placed on top of each other and fastened on the back with two screws. 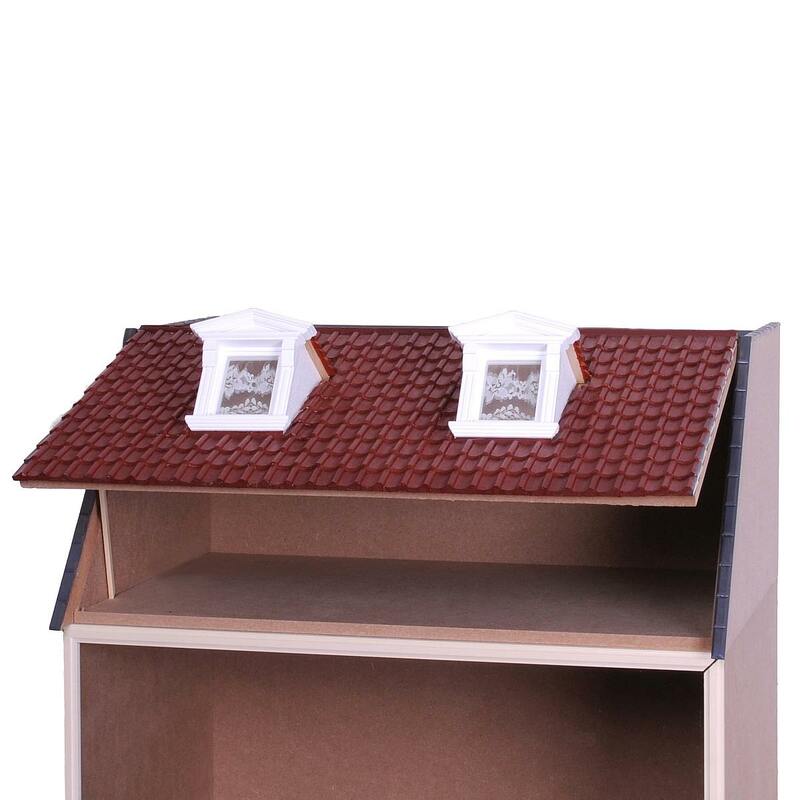 Our MODULE BOX HOUSE is exactly the right choice for anyone wanting to start with a small house with little space requirement for the 2 rooms with the attic floor. You can set up a pharmacy, small shop, café or perhaps even the Parisian Maxim's in the ground floor. Moreover, our new MODULE BOX HOUSE concept provides the flexibility to replace individual boxes for "renovation work or new furnishing" or relocate your residents from one floor to another. You see ... Modularity knows no limits and thus offers you the basis for a hobby which you can pursue with enjoyment for many years. The houses offered on the market are too large for many hobbyists. They require more space than is often available. The fear also exists in certain cases that the furnishing of an entire house will take too much time and some of the many rooms will remain empty for too long. 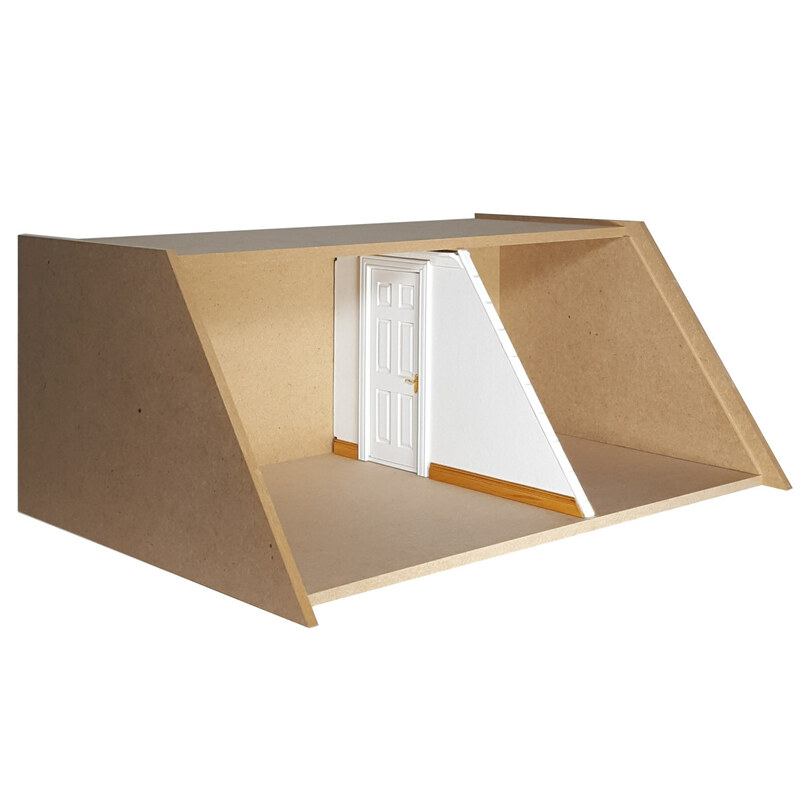 The MODULE BOX concept now offers the option of starting your hobby with just one room. 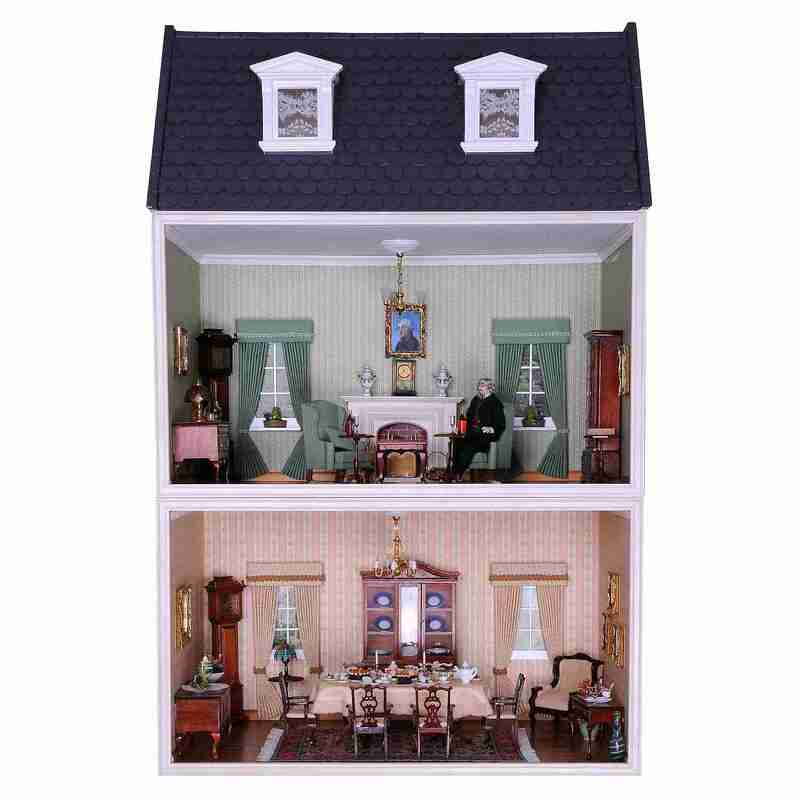 Several rooms can later be joined together in any way desired to create a 50 cm wide house with little space requirement. The 50 cm room width makes it possible to use all of the parquet and plank floorings as well as the depth of 30 cm. 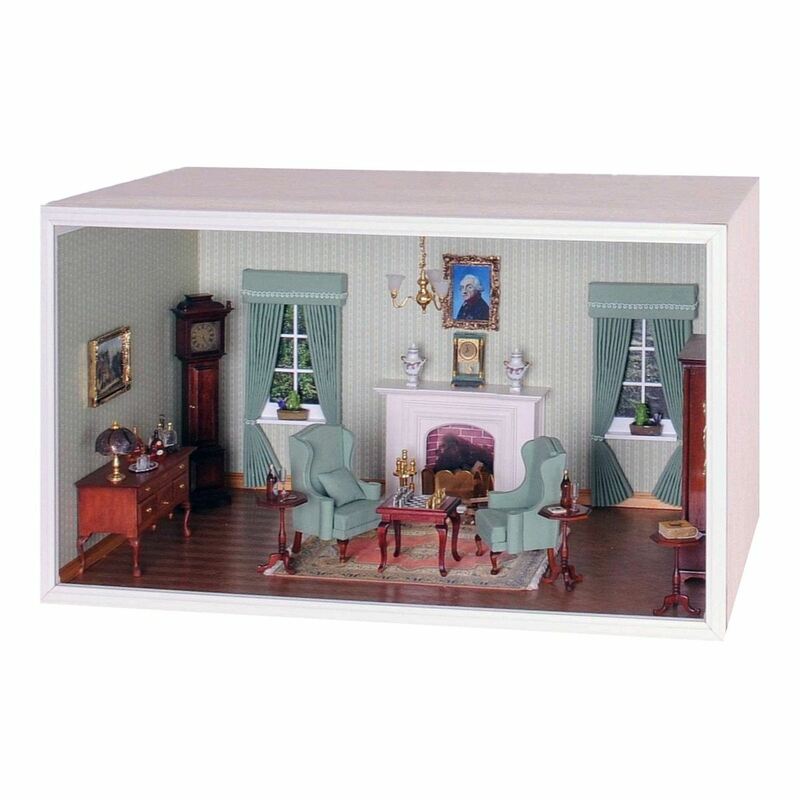 The 28 cm room height provides a good view and is also high enough to set up a shop. A hole in the ceiling is provided for the cable to connect a ceiling lamp. A 2 mm void exists above the room ceiling following assembly for laying the lamp cable downwards. The glass panel closes the room to protect it from dust. 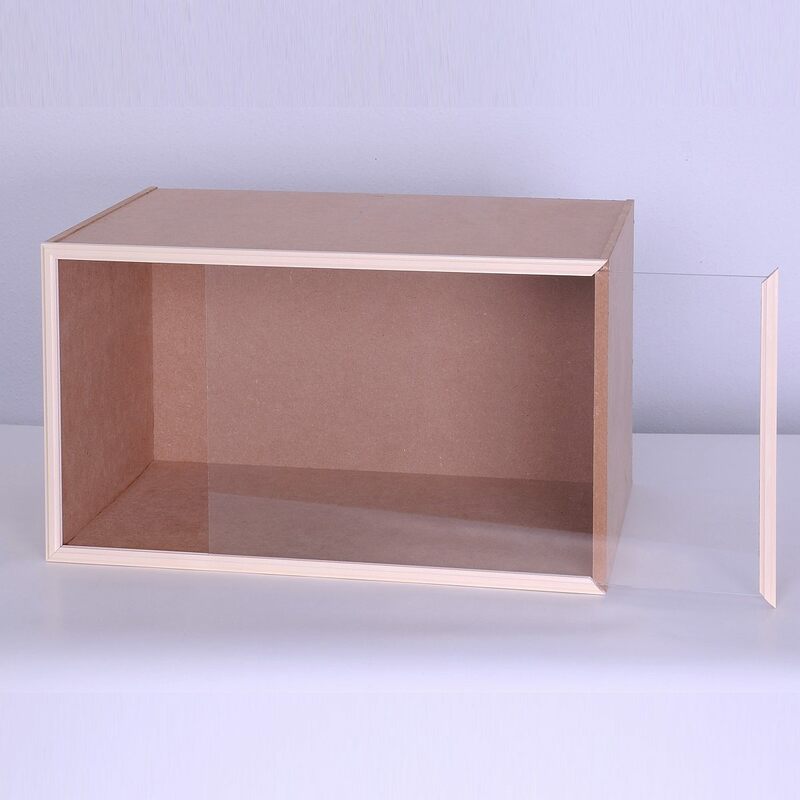 Depending on the arrangement of the frame, the glass panel can be slid open to the right or left.